When Stacey, an aspiring writer, decided to spend her lunch hour relaxing at an art exhibit, she never dreamed it would completely change her life. She had moved to New York thinking just being in the Big Apple would spur her creativity, but so far it was one boring day after another, toiling away at a dreary job as a receptionist to pay the bills. Everything changed when she saw a prize-winning photo of a woman on a beach holding a gun – there was a story behind that photo, and that would be her novel. Photographer Kathy Moran is walking on the beach when she see a woman, wearing a white dress gazing, out over the water and holding a gun behind her back. She takes a photo and then offers help to the woman who appears dazed and in shock. We learn it was her wedding night and in a robbery at their home she was attacked and knocked unconscious. When she woke she found her husband dead. There are several suspects but the murder is never solved despite the efforts of prosecutor Jack Booth, who we will learn has a prior history with the photographer, Kathy, in the jump back to 2000. It sounds complicated, but once the characters are established, the non-linear story line works well. We spend enough time in each period to understand the plot, develop the characters and pick up a few clues. The mystery was compelling and the jumps in time felt seamless. The shifting points of view – Stacy in the present and Jack in the past – provided plenty of insight and revealed bits and pieces of the story. Photographer Kathy Moran and prosecutor Jack Booth are present throughout and tie the stories together with an eventual resolution of the mystery in the present time line. I didn’t figure out who the killer was until the end, when enough information was revealed to understand the motive. Now, looking back and thinking about it – revenge, anger, greed – it all falls together. 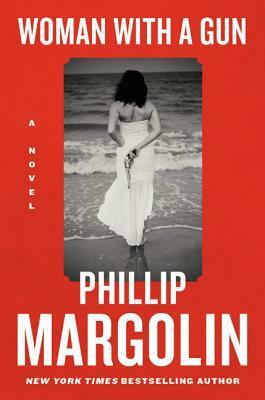 If you like a compelling mystery that keeps you guessing, this is a good choice. Source: Review copy provided by TLC Book Tours. You’ve made this sound like a must read! I also read this and liked it. But I gave it a 2.5/4. You obviously liked it a lot more than I did. I did! And I rarely give 5 stars. I like the multiple time lines… and it did have me fooled… I thought someone else was the killer until the end when the motive was revealed. I definitely agree that the killer was a surprise. Leslie, I’m glad you enjoyed this one enough to give it 5 stars. It does sound like a compelling mystery. I tend to like complicated stories so you definitely have me intrigued!